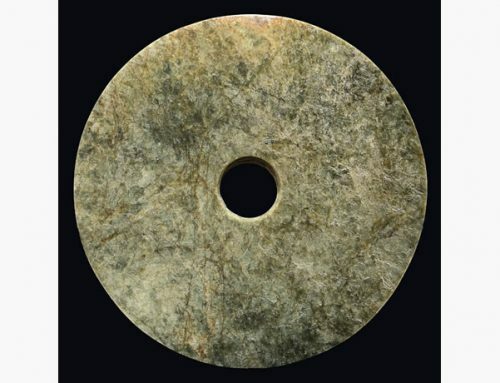 The bi is a circular ancient Chinese jade artifact. 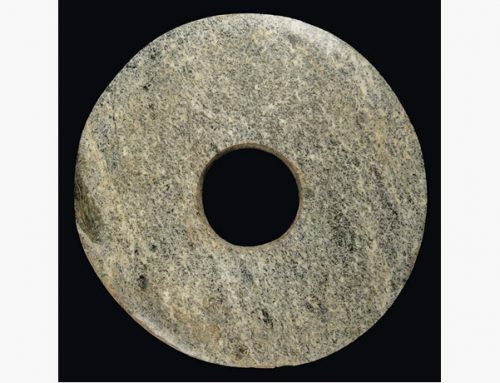 The earliest bi were produced in the Neolithic period by the Liangzhu culture (3400-2250 BC). 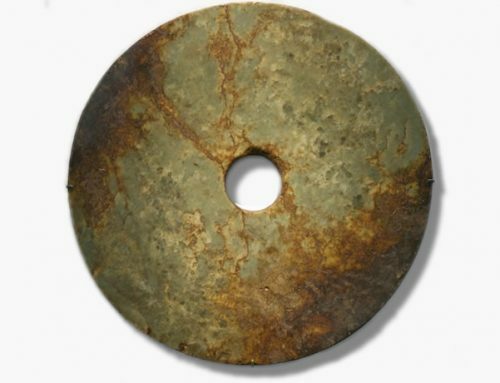 Later examples date from the Shang, Zhou, and Han dynasties. They were also made in glass. 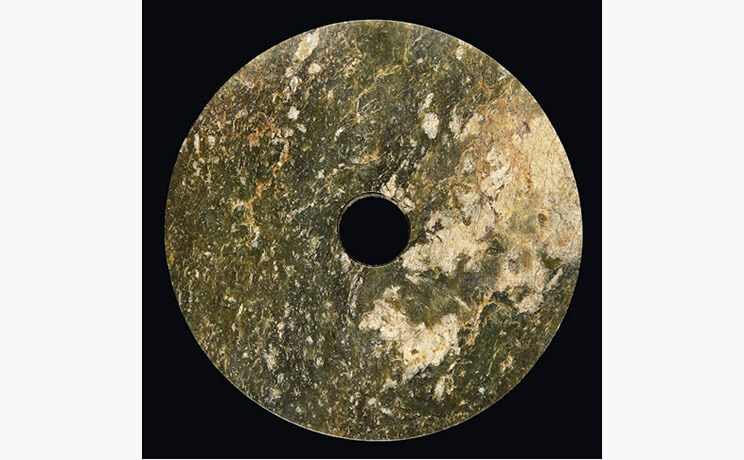 Green jade is the most traditional and rare color. 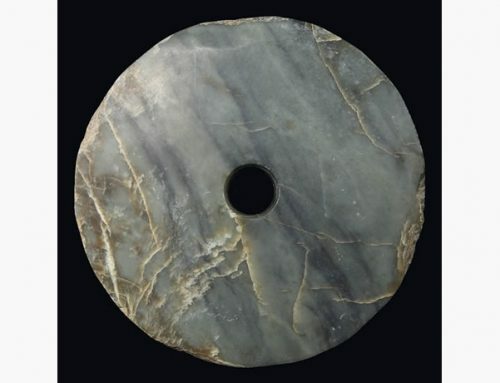 In China, green jade symbolizes good fortune. 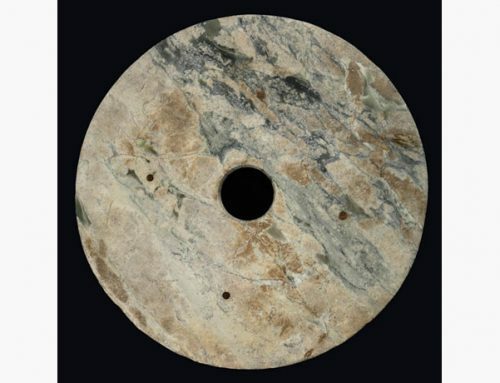 The green color is due to the presence of chromium, which is the same coloring agent as in emeralds. That’s where the term emerald jade comes from.